I haven’t done a giveaway in a long time, so I thought that on the first day of September, a month which always feels like it marks the turning of the weather and a great time to immerse myself in yarn, needles and hooks, it would be a good time to get a giveaway going in aid of encouraging some knitting and crochet action. 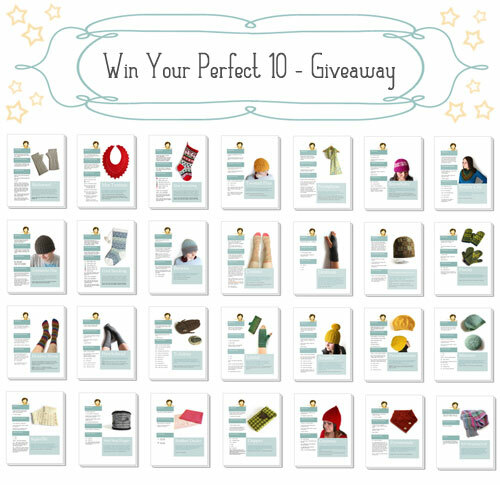 In this free to enter giveaway you can win your choice of any ten single patterns from my pattern store, a prize worth up to $50. 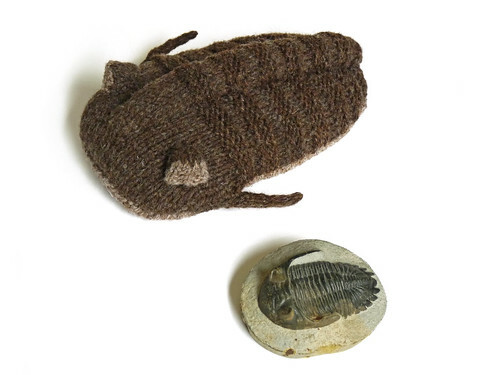 Patterns range from shawls, hats, mittens and scarves to keep you warm from the first light frosts through deepest winter, to socks, homewards, Christmas treats and 400 million year old seabed arthropod toys. Once the giveaway has closed the winner will have up to one year to choose their ten patterns, so some credits may be retained for future pattern releases in the next year if you would like to give yourself an occasional treat. 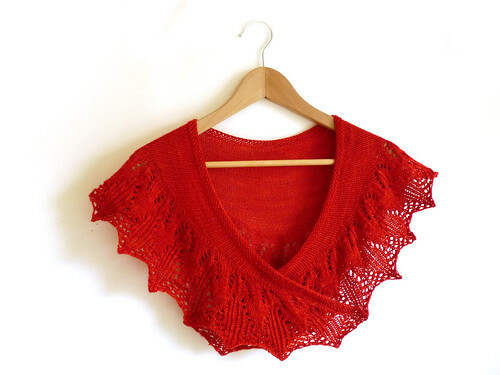 Alternatively, you may choose multiple copies of the some pattern, so if you are part of a knitting group (including online knitting groups and bloggers) you might like to choose a number a copies of a single design and host a knit-along. To enter: Please leave your answer to the giveaway question, making sure that you leave some way to contact you if you are the giveaway winner. One very simple way for me to get in touch if you do not belong to the services listed or have a blog/website of your own is to put the URL of your Ravelry Profile in the Name/URL fields, or mention your Ravelry name at the end of your comment.Entering the giveaway is extremely simple and completely free. All you have to do is leave a comment at the end of this post telling me what your like or dislike about September, or what September means to you. Please read the details of the giveaway below before submitting your answer as it contains information on how to make sure I can get in touch with you once the giveaway is over. Good Luck! Who can enter: Anybody in the world, limited to one entry per person. Closing date: September 15th at 11:59 GMT. I love September. The days are a bit cooler, but not so cold that I have to get the winter jacket out yet. It means that I can knit something warmer and I won’t melt if I knit it outside. I love September because it means summer will actually be over soon and if there’s one thing I kind of hate, it’s summer (at least when I have to go out in it). I love September because it’s crunchy leaf season!! I am knittingv on ravelry!! Apparently, even though I’m not in school now (nor have kids starting school), September still means school to me, because I’ve been dreaming about the start of school, new classes, new living space; a different kind of renewal from spring’s. I think I’m a bit like you. September represents the beginning of fall and, as the beginning of fall, certain things start happening (including all the apple smells and cooler weather). I also love the changing of the seasons, not that I get to see it much here in California. Wow, what a cool giveaway.. Let’s see here. I love September because it is the introduction to cooler weather. Even though I am now in SC and there really is no cool weather in September that is still what it means to me. I hope I will, love the patterns!!! September is many things: a return to School schedules, the final blasts of summer heat, the promise of a long “Indian Summer” (I’m nothing if not hopeful) and plans for more time with extended family, as things quiet down some. I love September. September has always been my favourite month. it represents new beginnings for me, a new school year, although I’m 29 and haven’t been to school in years and I love fall over every other season. Also, Sept 21 is my husband’s birthday, a friend’s birthday and Mabon, a pagan celebration. And most of all, I love the weather. I strongly dislike warmth and sun, so the reduced strength of the sun and much less sun hours everyday is ideal for me. I love taking a long walk with my dog and hubbie watching the leaves in browns, reds and oranges, while kicking up crispy leaves and wearing a nice, soft, cosy scarf and mittens. I love your give away! Thank you for the opportunity to win your lovely patterns! September feels like the end of summer and with the kids going back to school and the tourist trade slowing down – it feels a lot quieter around here. Also, it’s the start of the full blown Christmas present knitting list being started. Thanks for the giveaway, it’s a lovely idea. I love September. It’s my (11th) wedding anniversary, and my husband’s birthday. It means fall is coming up (my favorite season), and Halloween is just around the corner! September is when things start to cool down and I’m not sweating all the time! I might need to throw on a light sweatshirt at night. We leave the windows open to sleep; no more AC. It’s time to start drinking dark beers again! All those shawls I knit finally come in handy. 🙂 And I’m with Contessa, pumpkin coffee! In September I like the fact that I will be able to wear wooly jumpers and tights again and nobody will find that too odd. It’s time to plant spring bulbs as well, and I really like the potential of that. I dislike the fact that it is the end of summer and the visitor centre where I volunteer will shut its doors for the winter. I like September becos it feels like a fresh start to me – school begins, the world readies itself for winter slumber. People may consider January the start of a new year, but I’m glad that September gives me a second chance to start something new. I love September for the cooler weather. I also love this month, because Apples are in season. I bake a lot of Apple Pies in September. Yum! I love September – autumn is my favourite time of year, and here in Wales, the leaves are just starting to turn. It promises some of my favourite things – woolly jumpers, hot stews and soups, crisp woodland walks. This September is also the month before my wedding (at the start of October) – I’m going to do my best to enjoy the last few weeks of preparations! I like that September is a return to normal routines. I don’t like that it’s still hot here. I feel like September is when the heat finally gets to me, and I’m wondering when it will end. September is my birthday month. I love changing colour from the leaves and the sound of it. September is the sunshine of summer, with the crispness of autumn. It is gingerbread, peach pie, and apples. September is the state fair, back to school, and my parents’ anniversary. September is the month of blocking. Getting out heavier shawls and wraps and reading. I love September. The weather starts to turn and the wind is crisp and apples are in season. What’s not to love? I love September because it is the start of the fall season and the start of a whole new season of fresh vegetables and fruits to get ready for the crisp evenings. I like September because of the cooler temperatures and the leaves are starting to change colors. As a bonus, my parents’ wedding anniversary was September 14. September to me has always been about friends. Labor day camping, Renfest Weekends, bonfires and road trips. I love the coziness of fall and September is that wonderful transition month where the days are warm and the nights are cool. I love September because that means that soon the heat will be dying down. It doesn’t actually get cold here until Dec/Jan, but by Sept the days of 100+ degree days are a thing of the past. September is about cooler weather, crunchy leaves, and new motivation to teach, study, knit, write. Cool nights and being able to throw open the windows when I sleep. Being able to spend time out of doors without getting overheated as I have a chronic illness that means I can’t be out in the heat…also it becomes “big project time” and it’s cool enough to work on sweaters and afghans comfortably. September? I love the apples, the cool nights, and the back-to-school sales. I also LOVE that Trilobite pattern and plan on getting it whether or not I win the giveaway! I love September because it starts getting a little cooler and the leaves start changing colour. September means the start of school (even though I’ve long finished my degree, I love seeing the back-to-school supplies in the stores) and the change to fall. I love the cooler weather, and I always look forward to my allergies calming down. Most importantly, though, September means birthdays! My sister and I both have September birthdays–she is the 29th and I am the 15th! I love having my birthday in the exact middle (at least numerically) and she likes that her date of birth is 09-29-90. Plus fall means big sweaters and tall boots, and I am a big fan! Thank you or the chance! I love September because of the fall harvest and crisp sunshine. Wow! This is an amazing giveaway, Mimi! Thank you so much for the opportunity to win your patterns. September is a special month for me because my wedding anniversary is September 10th and my oldest son’s birthday is September 12th. I have a host of good friends who celebrate birthdays this month as well. I’ve always loved fall, but September is special to me because it’s when my son was born. As a matter of fact, this contest ends on his 4th birthday! My September is – getting ready for school, the month I met my husband-to-be, lots of family members BDs, cooler nights, vacation, and the beginning of gorgeous Fall colors to show. Not so cool – Summer is over! What a great giveaway! I am always conflicted about September, it feels a little sad because the Summer in on the wane and there is a chill in the air as the nights draw in. But this is also a sense of looking forward to the changing on the season and the coming of Autumn and the wearing of woollies! i love September. harvesting, beautiful skies, vibrant colours, crisp air, good food, warm knits, new books, back to school…and shamelessly starting a new wooly project. fall is my second favorite season. winter is my first. i’ve always liked cold over hot. I love September because I can start decorating my house for fall. I like to collect pumpkins and pine cones and fallen leaves and come up with all sorts of creations. 🙂 I’m nanetteb on Ravelry. September has always meant a return to school for me, although this year it doesn’t. Instead of a new school year, I shall be going off to Japan! I guess September is a season of change for me. September has always flown under the radar for me, but I now have a good reason to love it: It’s the second half of my wedding anniversary (got married at the beginning of august, held a ceremony for family in the middle of September)! September always means “back to school” for me! The beginning of September is traditionally when all levels of education resume their classes/studies after the summer break. Thanks for the contest give away. What I like about September is the kids are back in school and the weather cools down. Perfect knitting weather! I love September for the cooler weather, which brings on that need to prepare for winter. September starts apple season, which means pie, cider and making of apple sauce. September is also corn cutting time which means the end of summer work on the farm. This year September represents the end of my vacation, lol. Tomorrow will be my first workday after 3 weeks of vacation and I’m not really looking forward to it ;-). Thank you for this amazing give-away! I love September. It is the best month for Dahlias and I always have fresh ones in the house from the garden. It is also harvest festival season. My favorite thing about September is that autumn begins and I can finally start wearing woolen goods! I love the beauty of trees shedding their coats of yellows, reds, browns, and purples and the balmy breeze that brushes your face as you walk upon carpets of crunchy leaves. It’s my favorite season. Thank you for the giveaway. 🙂 My Rav ID is amigoodness. I love September because it means fall is on the way. I really enjoy watching the leaves change and decorating with gourds and pumpkins. What a treat. Your generous giveaway is an incentive to try your patterns. I always loved September in the north when nights got a little cooler and the leaves begin to turn. It’s the best time to go for walks in the woods. The COLOR!!!! We live in the Midwest and there is no area that can match the colors of our world during September. OK, I may be biased just a little. I often think I am going to take a leaf from each tree along the road side and use them to match yarns, fabrics, etc. to create something beautiful. Alas, I have yet to take the plunge. Maybe this year? What an awesome giveway too!! September is the month of weddings in my family, always seems to be at least one wedding every year. I don’t especially like going to weddings…. but the dress shopping is fun! And if the shop is in a pretty locale with lots of just turning trees and a cafÃ© with fresh hot apple cider donuts??? Perfection!!! September is the beginning of holidays in my family! Most of our birthdays are clustered around Fall/Winter, plus there’s Halloween, Thanksgiving, Giftmas, and New Years! I like September because it finally cools off just a little here in SC. I love September because it means autumn is coming! My favorite season!! I live in napa valley, and watching the vineyards change colors is really magical. September is a bittersweet month for me too. I’m still in school, so it’s the end of summer, but the beginning of a new school year which is always exciting. This year, September means Summer! I have extended my summer because I’m not done yet! Still have some kayaking and a beach trip with the kids to fit in. Some outdoor cafe times and gardening to do still, too! More realistically, September is always back to homeschool for us. We gear up with organizing and planning and by the end of the month, a regular schedule is in full swing. I love our slow slide out of summer! September is always a time for reflection. Kids back to school, the ending of summer, planning for the cold months, etc. What an exciting and unique idea for a giveaway. Thank you! September is the best month of the year because it is my Birthday Month. Also, I love the weather in September. What a great generous giveaway……. Ah, September. In my youth, it used to be when school began–a time of dread. Now that my retirement job is a beloved job to tutor math at a community college, it means new students I hope I can mentor so they can learn to learn. thanks for such a generous giveaway! I love september because it means spring! I love September as it is the start of Spring (in Australia) and I love spring, and summer even more. I like it cause cold weather starts and I love cold weather, and all holidays in autum and winter. Also it make me sad cause my good friend lost her father in September. I love September because it marks the start of Autumn. Autumn is my favourite season, still warm in the day, but with no hayfever. The colours starting to creep into the trees. And of course, evenings cool enough to knit whatever you want! September means the start of crisp mornings and wearing handknits when out walking early, also the start of the christmas knitting planning. even though i finished school long, long ago, september will always feel like new beginnings. the only thing that’s changed is now i’m happy when it comes, because it means the summer heat will start fading away – i can’t function over 20º! Love September cos it is my birthday on September 1st! I always disliked September as a child as it signalled the end of summer and freedom. As I got older, I started to appreciate September’s mellow temperatures, the bitter-sweet sadness of Nature’s retreat, the hint of vibrant colours to come in October on trees. September was my Mother’s Birthday month and also the month in which she died two years ago. To me now, it means memories, both happy and sad and a time to celebrate and remember all she left behind – starting me knitting for one! I love September because everything is possible, your batteries are full of sun and good thoughts and nothing can hinder it, except perhaps october.. I like and dislike the same thing about September..I am an elementary (primary) teacher..so September means back to work..summer is over…but it also means Back To Work! A great new school year begins…and it’s always filled with so many possibilities! I love September weather-nice dry air and just staring to get cool. The leaves changing is one of my favorite things as well! Being a teacher means it’s the beginning of things and time to start new routines! September is so full of change! I love it! It starts out as summer and ends as fall, and we get to bring out some sweaters. I still work in a college town, so the back-to-school environment is refreshing too! I love September weather. As the days get cooler I can wear a sweater and a pair of corduroy pants and I feel all cuddly. I love fall and all the changes it brings. the cooler days, the colored leaves and the knit accessories – you know mittens socks and scarves in fabulous wool. To me September means the time of year when the students return to campus and clog up everything. I live in a college town so without the students I wouldn’t have a job and really, I do like them, but summers are so nice with a smaller population to deal with. Love the patterns – thanks for the giveaway! September is a new beginning for us – my husband and I are retiring and moving to a new state! Can’t wait to see the fall color in the mountains. I like September because it means we’re approaching fall and the holidays are a bit closer. September to me means counting my blessings. A year ago on Wednesday, I met the most amazing man who has totally transformed my life in every way. He appreciates the littlest things I do for him, his eyes don’t glaze over when I talk about knitting, and he professes that he would wear a fluorescent pink jumper if I had taken the time to knit it for him, and best of all he loves me despite my large wobbly belly, my stretch marks, my sometimes grumpy nature, and my obsessively worrying about everything brain. I am so so lucky, and I know it. So, September … celebrating the good in my life. I am rather fond of the month of September. My sisters birthday is this month, the public schools start this month, which leave all the neighborhood kids out of my hair for a while. September begets the change in the leaves, and in the air, which clue me in that autumn will begin! love September for the cool night temps and less crowded parks when kids return to school. I love September because it always feels like the start of a new year. I thought I’d stop feeling this way after finishing University but it still happens so I’ll just have to embrace it! That slight chill in the air, nights drawing in and the thrill of finding discount stationary when the kids have gone back to school! I love September for the warm days and cool nights. I also love taking our kids shopping for school supplies – I invariably end up buying myself a new notebook for my knitting ideas. I love the smell of fall air…and the leaves changing color. September is great because I can start wearing all my knitted items that have been packed away all summer, and new ones I have made over the spring & summer months. I love September because it means for me a new beginning. Days are colder and fall begins (my favorite season). Thank you very much for the chance, I love your patterns!!! Amazing giveaway,and one year durable-wonderful.I love September because is cooler already,I can enjoy roasted chestnuts,wear hats and boots(not yet =o) ) but now also better sweat September since my little girl start school and I am little happy/said. September has the best of everything in my opinion! The best desserts (apple pies, rhubard is in season), the best weather (sunny with a chill? Yes please. ), the best colours (I shouldn’t have to specify, but they’re so beautiful, I will – Cranberry reds, burnt umber, ochre, deep earth brown, forest green…), the best holidays (okay, so technically, back to school isn’t a holiday – but it depends on who’s getting the break!) and the best smells. And the fact that it may be, depending on where you live, finally the right time to break out the heavier knits.. well. I am simply not complaining! – Addie. September means Fall is here! Fall is my favorite season, the weather, the colors, and the activities are always looked forward too. Have turned their green to red. What a beautiful time of year. The air is changing and so is nature. One last blaze of glory before a long rest. There are so many inspiring ,rich colours to spark our creative juices and our fingers to knit something special for this magnificent season of the year. For me, September means back to school (I work there rather than study there) and the end of summer freedoms. Soon the nights will be closing in and we start the downhill run to midwinter; I want to cling to the last remnants of summer for as long as I can. To me September is beginnings. More so than the new year, and mostly I attribute this to all the formative years when a new school year started in September. Also it means sweaters! I love the cool evenings and mornings and warm days! I love September! I love everything about autumn, and my daughter was born in September too! September is the first month of spring in Australia. The sun is out, the birds are singing, the trees are in blossom and it’s pretty hard to find anything that isn’t perfect in the world at the moment. September is my favorite month in New Mexico. It’s cooler, the temperature slowly start to drop and all the colors deepen. It smells so good, especially the chilies being roasted at all the local markets. Thanks for the chance to win your lovely patterns. I like september because it gives me a new start. And it´s the best season of the year, because it´s when the knitting season starts for me. This year, September to me means the start of my very last semester of nursing school!! By the time December rolls around, 4 long years of studying will be done, and I will be a registered nurse. So excited!! September means a quiet house again. The kids are in school and I can work without hearing constant fighting and crashes from the rest of the house. September has always been about new starts, and more recently has been the month I start wearing wool socks again. September means that summer fun is coming to a close again, and usually I cry. Summers are so short here in Oregon, yet so full of things to do. I love to swim in our Illinois River. I enjoy those 90 degree days. Music Festivals, campouts, drum circles around bonfires, outdoor concerts, treehouses/ziplines, rafting…. all are packed into 3 short months. Then, it begins… the nights get cooler, the daytime temps drop into the 70’s and swimming time is over for another 9 months. It’s as if summer must be gestated and birthed each year. September means that it’s time to start planning and creating all of those winter projects… and prepare for “hibernation” for the rainy season. Don’t get me wrong – if you live in Southern Oregon, you eventually forget about the umbrella and just risk that you aren’t as evil as the Wicked Witch of the West (“I’m melting… melting… what a world.. what a world”) and get out there in it to do what ever it is that you need to get done. It means that the sandals will soon be in the underbed storage.. and the boots come out to play. I love transition, and it can be seen demonstrated every year when the leaves prepare to fall. September is all about transition. I love September because the colors start to change and everything is wrapped in the warm glow. September makes me sad because my grandson goes back home and goes to school. He has been living here almost non-stop since June 10th and I miss him like an amputated limb. I live in South America, so September for me is the month when Spring begins. I love the smell of Spring, you know, the day you get out of the house and suddenly, the air has changed and you feel that the season has changed. I love September because it’s usually nice during the day and cooler (than in summer) at night. I love how the larches in our area start to turn yellow and orange. Just as the leaves and weather transition into a new season starting in September (at least here in Northern New York), I transition into a new year of my life! For me, September is a season of new beginnings. September is the month of birthdays for some of my favourite people. I love color of the leaves during this times of year. The burnt oranges, sienna reds, and chocolate burgundy leaves which fall to the lawn and create a beautiful bold world in the crisp of autumn. I love September because the weather usually cools down! The cooler weather of September makes me feel like starting winter knitting. I also look forward to the changing colors of the trees. This September will also bring me my first grandchild! September is the month where life goes back to normal as son is at school and hubby is at work. It’s the time where I can start making things for my family and friends for christmas. I love to pick wild mushrooms in September. The kids are back to school so the daily routine gets back to normal. And on chilly days I can start to wear knit socks and fingerless gloves. And maybe even a hat and a shawl or cardigan. I love September because it is the official start to football season! Love to knit & watch football on Tv! September means ragweed. Summer is still blazing here in Oklahoma, with highs in the upper 90’s or better, and the leaves are all turning brown with drought. However, everything else is shrouded in a fine yellow coating. Between weeds, grasses, the mold spore count (my arch-nemesis), and the trees that will bloom by the end of the month, September is one of my least favorite months. I swear, if not for yarn, asthma medicine, books, and readily available Vietnamese food, I’d go completely insane this time of year. September is the busiest month of the year where I work so in some ways I dislike it, but on the flip side it means I appreciate my days off much more and tend to be more thoughtful about how I spend my free time. p.s. fantastic idea for a giveaway! I love September because it means the end of the humidity and the beginning of sweater-and-wool-socks weather. I love September! September means back to school, first days of school, new clothes, fresh starts, harvests, change of the seasons, the end of the heat, the coming of crisp fall weather, getting ready to get out the scarves and hats and hoodies, the start of holiday knitting, getting ready for Halloween, knitting shawlettes, and because the kid is back in school — the time to do it all! I love September because that means it’s almost fall! Which is my favorite season and also has my favorite holidays. Ahem, Halloween, ahem. I love September – cool enough to start to need an extra layer of clothes but still warm. Oh and it’s the month my birthday falls in! I love to see the leaves slowly changing, September really brings a remarkable change to the landscape, and the light changes in the Autumn sun. September is the beginning of the “birthday season” in my family. From Sept. 23 through Oct. 10, there are 5 birthdays: mine, my husband’s, my daughter’s, my mother’s, and one of my sister’s. My father’s birthday was also in the same period. By the way, I think your patterns are beautiful. I’m needle-and-hook on Ravelry. September means turning your body and soul into winter-mode ( i live in Norway…). Putting those wooley socks back on, snuggle up in the sofa corner, kniting or reading. Totaly black outside of the window. Warm an cosy inside. Relaxing from an activ summertime, loading energy for the long winter season. I love September! September means hedgrows full of blackberries, amazing colours appearing on the leaves ,sudden showers making pretty rainbowa and time to start the comforting woolly knits again ! September is fresh. Fresh air, fresh figs, fresh resolutions. I love riding my bike and going to the beach, reading books and watching the sunset. I like September because the temps go down and the leaves turn making perfect days for walks in the woods. September is my favorite month! It marks the beginning of autumn, with its beautiful red and golden treetops, and crunchy leaves blanketing the forest floor. I love awakening to the crisp morning air, the very *scent* of autumn, and the gorgeous sunrises, reserved for those who waken early enough. Our pumpkins, apples, and blackberries begin to ripen, and the house is always filled with the scents of baking pies and apple cider spices. School starts in September as well, giving me more time to wander in the woods, ride my beloved horses, bake, read, knit, and be a free country girl again! I love driving by all the bitty-kiddies waiting for busses with their ginormous backpacks–makes me all teary–so cute. September is always nice because for me, it means Autumn will be here soon and I am indoors more with more time for knitting and less Summertime running around. I like September weather. I like September, because it means fall weather is near. It makes my knitty senses start to tingle. I love September, this month we celebrate our wedding anniversary. I Like september because this month we celebrate our anniversary. September is one of my favorites months. the crispness in the air, the cooler weather, and it always meant new clothes when I was in school. I love the smell of newly sharpened pencils, the changes in the trees and flowers, and that APPLES are finally ready to be eaten! Bring on windows wide open, cushy sweaters, and yes, it’s shawl weather too! Love/hate with September. Means the end of the golfing season is starting for my husband, who turns grumpy at the appearance of snow, I love the leaves but also do not like the snow, nor do I like the Christmas advertising starting it seems, after Labor Day. It means the holiday season, which means a lot of things to me, some of I like, some I don’t. Thus, love/ hate. I love and hate September. I love the beginning of autumn – the colours of leaves, a change in the light from the glaring sun of summer and the feeling of wanting to get cosy in the evenings. However, it’s my worst time of year at work which I dread coming from about the beginning of August. I really wish that I could have an untainted pleasure in the beginning of autumn, but alas it’s not to be. I love September – back to school sales, cooler days and nights, sweaters, cuddling on the couch, changing trees, pumpkins and apple picking. About the only thing I don’t like is the shorter days. September is the start of spring here in Australia. Who doesn’t love Spring? The flowers, the birds, the baby lambs (more yarn on its way) …. and the weather is neither too hot nor too cold. Ideal knitting weather.